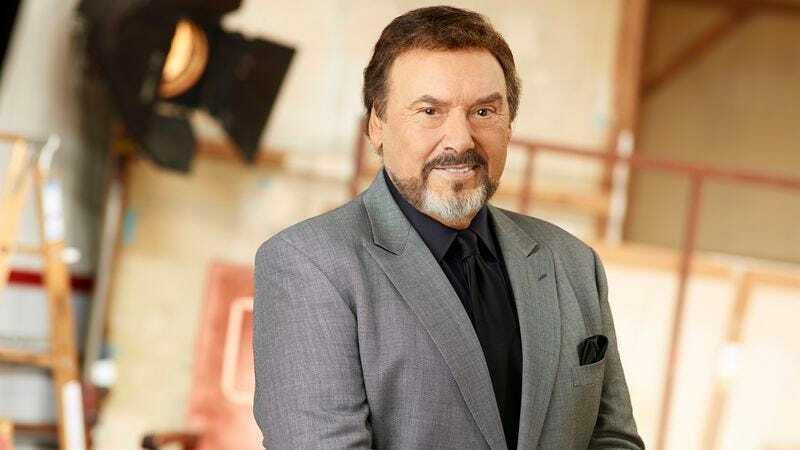 Deadline reports that actor Joseph Mascolo died today at the age of 87 after battling Alzheimer’s Disease. The actor was best known for his decades of playing Stefano DiMera, the villain viewers loved to hate, on NBC’s Days of Our Lives. Mascolo appeared in feature films like Shaft’s Big Score (1972), and Jaws 2 (1978), before landing the role that would come to define his career. Stefano DiMera moved to Salem in 1982 after a Days writer spotted him playing a real-life crime boss in NBC’s 1981 mini-series The Gangster Chronicles. Mascolo’s DiMera then came to embody the ultimate soap opera villain: head of a crime family, constantly scheming, yet fiercely loyal and protective of his family and those he cared about, like his son Tony and his adopted daughter Kristen. Still, his character became the enemy of many other Salem residents. Stefano’s “supposed death” list on Wikipedia lists about a dozen of such efforts; the character survived crumbling pyramids, car crashes, a brain tumor, and even getting shot by the show’s longtime heroes, Marlena (Deidre Hall) and John Black (Drake Hogestyn). Mascolo had a clause in his contract that he could return to Days any time, which meant that any of those “deaths” on the show never lasted for long. Stefano also paved the way for Marlena’s famous exorcism storyline in 1995, by sneaking into her room each night and “opening her soul,” which allowed her to get possessed by a demon. Mascolo departed for other soaps like Santa Barbara, The Bold And The Beautiful, and General Hospital occasionally, usually over contract disputes, but he always eventually returned to Days’ Salem. His most recent stint there ended just this July, after Stefano was shot several times by Hope (Kristian Alfonso), who believed he had a role in her husband Bo (Peter Reckell)’s death. Soap Opera Digest named Stefano the greatest soap opera villain of all time. It is with great sorrow that we are sharing the news of the passing of our dear friend and beloved member of the Days Of Our Lives family, Joseph Mascolo. The smile on Joe’s face is something we’d all come to find comfort in, and he will be sorely missed. His larger than life presence, kind heart, and unwavering positivity has impacted us all for decades, and will live on in the memories of his many fans. Our thoughts and prayers go out to his family during this difficult time.